I wanted a little something to pretty up the far corner of the kitchen that we affectionately call “the command center” since it houses our junk drawer and has been deemed our phone charging corner. I’ve always loved Desert Roses and have one that I bought at a succulent show 5 years ago that lives on the porch. When I saw this broader-leafed version, I pounced at the chance to have that beauty indoors as well. I wasn’t crazy about any of the pots they had in store and none of the spares we had really felt right. 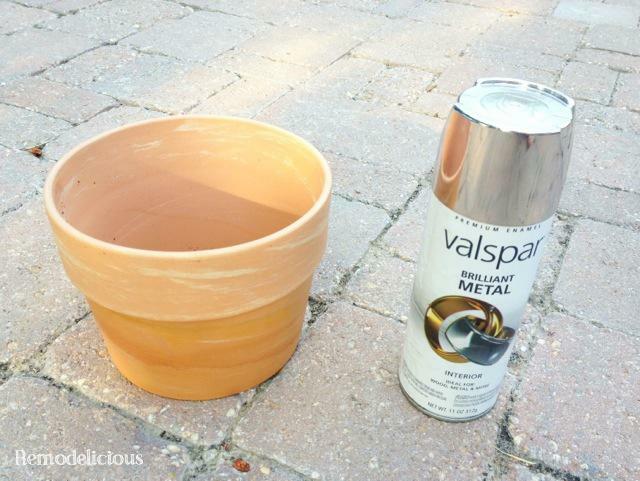 Then, I remembered the metallic silver spray paint in the garage that I had left over from another project (it’s Valspar Brilliant Metal from Lowe’s). I set up a paint booth box, gave a quick spray around the inside rim, and then turned it upside-down to spray the rest. 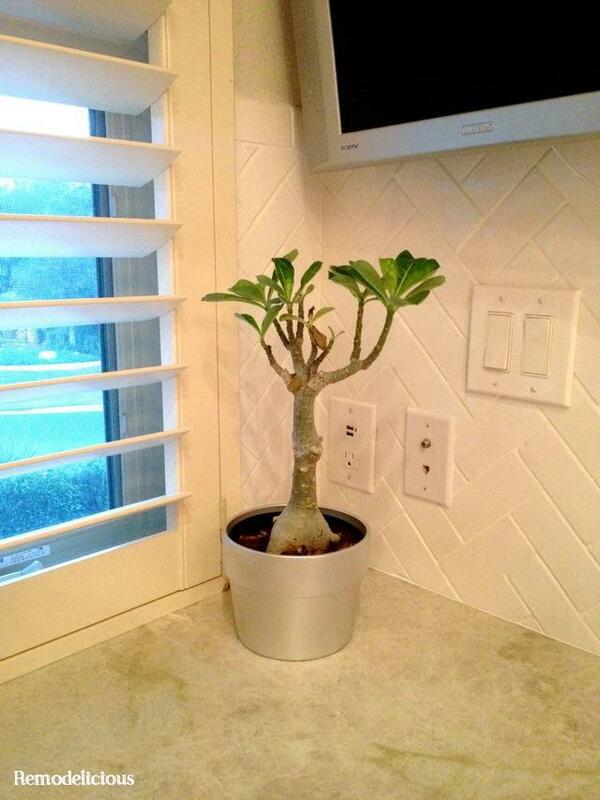 Now that’s something to brighten up a little corner of the kitchen in a home with an “updated classic” theme. 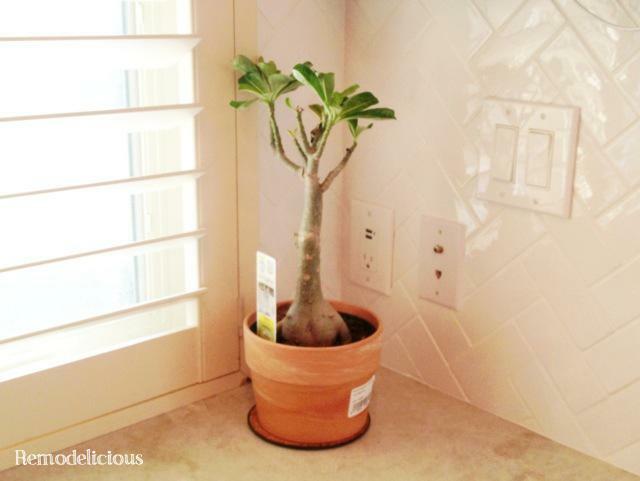 It has the classic lines of a boring, terra cotta pot, but the glam shine that’s popular today.